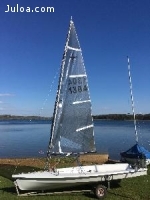 A light breeze met the 11 who turned up to compete in the Phantom Open hosted at Burghfield Sailing Club. 3 local sailors were joined by travellers from across the south, several keen to secure a top position in this the final event in the Southern Phantom Traveller Series. In keeping with other classes to visit Burghfield this year, the Sprint Race format was used. Quick fire racing with races of around 20 minutes each. This format certainly puts an emphasis on a good start, (great practice for the big fleet events in the calendar) but equally good tight racing through to the end. 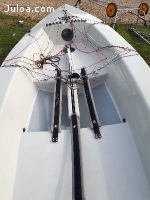 In total 7 races were run, perhaps it could have been more, but the wind was fickle and the Race Officer did a sterling job in testing conditions. The first bullet of the day went to ex Phantom sailor Doug Powell, who’d borrowed Alex Reeve’s old boat for the day, (and is still getting used to his new one), with series leader Nick Orman coming in 2nd. The conditions for the 2nd race were the lightest of all, but saw another local sailor Rob Starling take the bullet, with Simon Hawkes coming in 2nd. At one point Nick was seen heading back to shore, on the edge of calling it a day, but just at the last minute the wind picked up slightly. Good news for him as he rolled in with a win in the 3rd with Doug coming in 2nd. What Spinach is to Popeye , Carbs are to Hawke’s, because after lunch the surge began. 3 of the 4 races were wins, with Starling taking the other. The final positions saw Hawkes take top prize and getting his name on the trophy , again. With Starling, Powell and Orman taking up the next 3 places. A special mention has to go to the Sea sailors who made the trip inland on a light and testing day. The final results reflect that they all mixed it up interchanging results throughout the day and keeping the racing tight throughout the fleet. 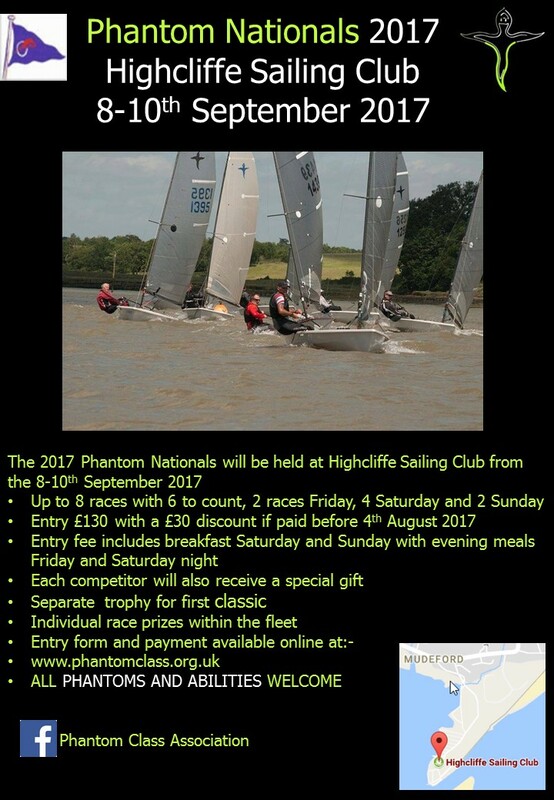 Saturday 11 November marks the last event in the 2017 Phantom Southern Series, hosted by Burghfield Sailing Club. There’s still much to be decided in the series, with even series leader Nick Orman not being safe, should Chris Shelton make the long trip across country or Paul Birbeck score a top finish. Last year’s champ, Ivan Walsh, is presently third but he could also come under threat for the last berth on the rostrum by a number of competitors, including his very own club mate, Steve Popple – Who will get the bragging rights. The first race will start at 10.30, with a briefing set for 9.45. Further information can be found on the Burghfield website, including the ability to register early and enjoy a reduced entry price. There will be close racing across the lake during the day and the galley will be open for lunch and drinks.